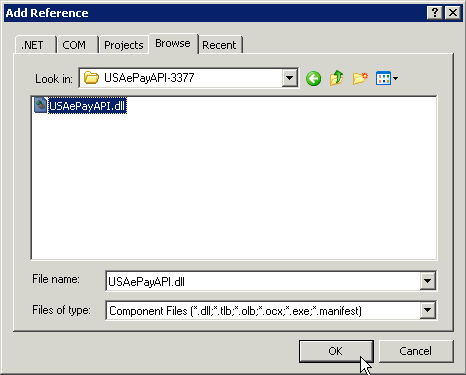 Click on the "Browse" tab and select the USAePayAPI.dll file and click "Ok"
If you are using the DotNet DLL, you will not need to recompile your software, just update the .NET Framework to 4.5+. 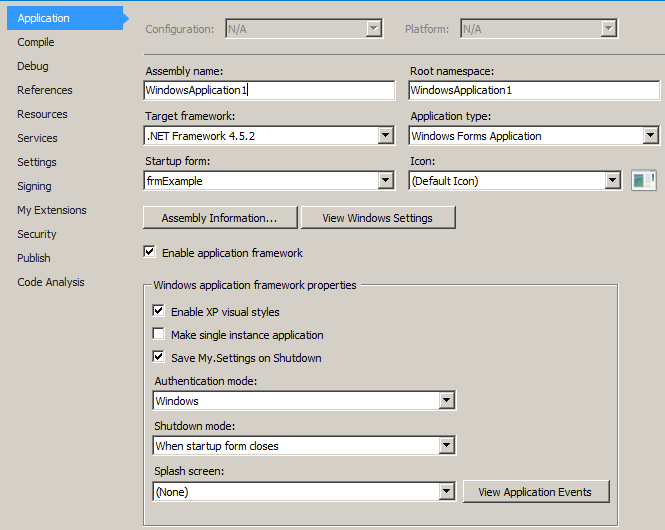 Next, drop in the replacement DLL file listed below according to the current version you are using. "Close Batch" will close or settle an open batch. Upon settlement the funds will be transferred to the merchant's bank account. You can specify the batchID if you want to attempt to close a specific batch. An exception will be thrown if the batch is already closed. Pass “0” if you would like to close the currently open batch. A BatchStatus object will be returned on success. CheckRouting String Check Bank routing number. Required for check transactions. AccountType String "Checking" or "Savings". Defaults to "Checking"
Schedule String How often to run the transaction. Possible values are: daily, weekly, biweekly, monthly, bimonthly, quarterly, biannually, annually. Default is monthly. StartDate String When to start the schedule. Must be in YYYYMMDD format. If left blank, default is "tomorrow." Pareq Contains the encrypted authentication request. This must be posted to the above url as the field "PaReq". 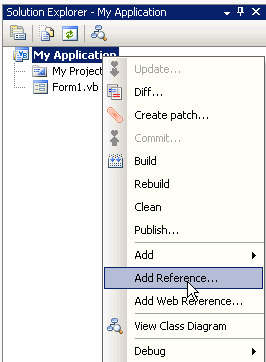 BatchSummary (String BatchID) BatchStatus Returns a BatchStatus object containing the information for the provided batch ID. Pass in "0" for the most recently opened batch. CloseBatch (String BatchID) BatchStatus Closes the currently open batch. You can specify the batchID if you want to attempt to close a specific batch. An exception will be thrown if the batch is already closed. Pass "0" if you would like to close the currently open batch. A BatchStatus object will be returned on success.